Samsung is a player. So much so that they are assured of the world’s attention when they launch a new product. 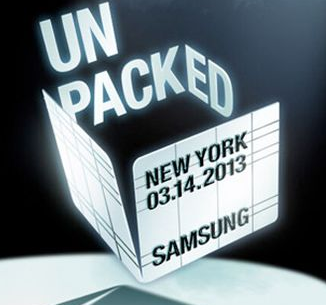 The announcement of the Samsung Galaxy S4 which is set to launch in New York on the 14th March at 7pm EST is just such launch! The S4 has a serious job ahead. It not only has to a tough act to follow of its predecessor, the Galaxy S3, which has sold over 30 million units worldwide, but it also has to become the new flagship product keeping Samsung’s main rival, the Apple iPhone 5 and 5s firmly in the starting blocks. The web is full of rumours and semi-educated guesses of what features the Samsung Galaxy S4 will have and what we can expect. This has been available on the Note 2 and the S3 where by simply lifting the phone to your ear, it would dial the person you are texting or emailing. The eye-detection has also been a big hit where as long as you are looking at the screen, it stays on. This is set to be even further enhanced for example: being able to answer a phone call by simply lifting the phone, no need to tap the icons, you can simply hover above them (as is now do-able with the Note 2’s s-pen). The one feature that has everyone talking is about controlling the way the screen scrolls by just using the eye movements. There is also talk of video pausing when you look away. Samsung has done a remarkable job with their AMOLED screen but now there is rumours of new technology called green-PHOLED. This is set to use tech that improves the efficiency of the screen by controlling the way the light is set on the display and to which colours light up and which colour are not. This will not only make the screen more attractive but at the same time save battery power. There was also a demo of a flexible screen at CES however this is unlikely to be available on the S4. At CES 2013, there was a screen featuring a Full HD pixel count, a 4.99-inch screen and a 440PPI resolution that was set to be made available in the first Quarter of 2013 which is …eh…now ! This is meant to be a quad-core with four virtual cores based on ARM’s A15 architecture which take the same chip and gives it a power-boost resource-hungry tasks. There is also a chance it will be the first eight-core processor in a smartphone….hmmm….we can hope. Android is about to release their next generation version known as Key Lime Pie. I wonder if this will coincide with the Galaxy S4. If not, it would be Android 4.2 (Jelly Bean) with all its updated features and the next generation of TouchWiz skin. S4 hints at an at least 10MP camera but likely to be a 13-megapixel rear mounted camera that is able to take 360-degree panoramic images using Google’s Photosphere technology. A recent trandemark filing for a feature called "2D 3D Movie & Still." make me think that the S4 will have some “3D conversion technology”. The phone is expected to have LTE / 4G speeds and the usual WiFi, Bluetooth and NFC. When is comes to storage, Samsung usually offers a 16GB or 32GB option and perhaps 64GB internal storage with the standard Samsung microSD. With the work that Samsung has done to get the mobile payment approval by Visa, there could possibly be a “Samsung Wallet” so users will start storing virtual purchases.